Austin is the capital city of Texas, the self-proclaimed music capital of the world and home of the University of Texas. The city, named in honor of Stephen F. Austin who founded Anglo-American Texas under Mexican ownership, was established by the three-year-old independent Republic of Texas in 1839 to serve as the permanent capital of Texas. The government of Texas, which operates under the Constitution of Texas, had been shaped largely by the Anglo-American tradition along with Spanish and Mexican influences. The Texas state constitution is based on constitutional principles similar to United States which includes a written constitution, whose source of authority is popular sovereignty, guarantees of individual right, a republican form of government and separation of powers between the executive, the legislative and the judiciary. Named in 2012 as Best City for Jobs by Forbes, Austin has established itself as a world leader in creativity, technology, energy, innovation, music and business which has led to significant business expansion and overall growth. Because of its draw as a destination for migrating talent, metro Austin’s population grew to nearly 1.9 million in 2013. The decade ending 2010 saw a 37 percent increase in population. Austin’s key industries include Advanced Manufacturing, Clean Energy & Power Technology, Corporate Headquarters & Regional Offices, Creative & Digital Media Technology, Data Management, Real Estate Development and Life Sciences. 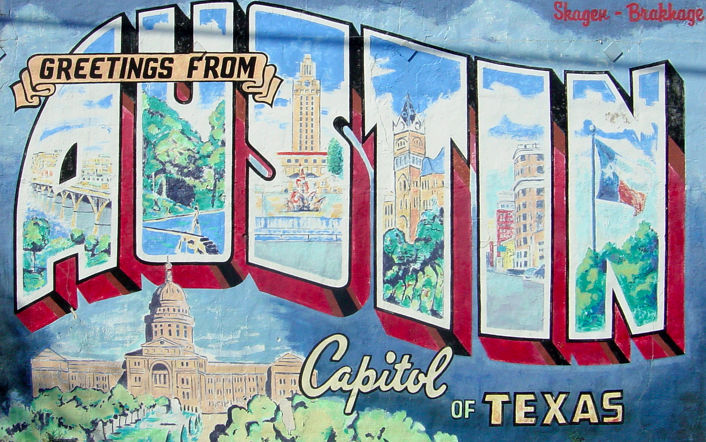 The Urban Land Institute named Austin the 2nd-best real estate market in the country in 2014. Another accolade Austin earned in 2014 was being named by U.S. National Science Foundation as one of the top 10 U.S. regions for business research and development. Austin’s population of 885,400 makes it the 11th largest city in the United States, between San Jose (#10) and Indianapolis (#12).